Sometimes when you use a part in a repair job it might turn out to be a bad one. Warranty claim for repair parts can be a tricky task. You start wondering if the part used in the repair still has warranty or not. 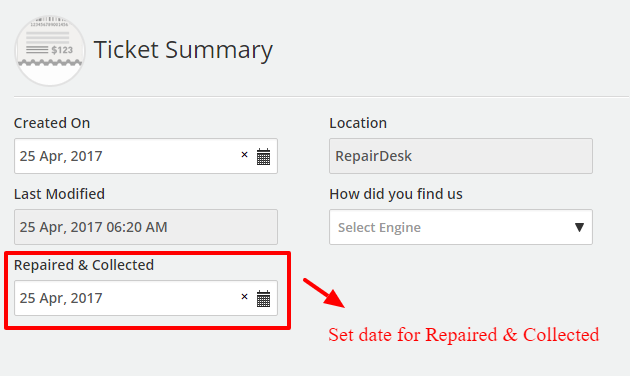 To make it easier for you to handle warranty claims, we have improved RepairDesk's Warranty Claim Functionality. 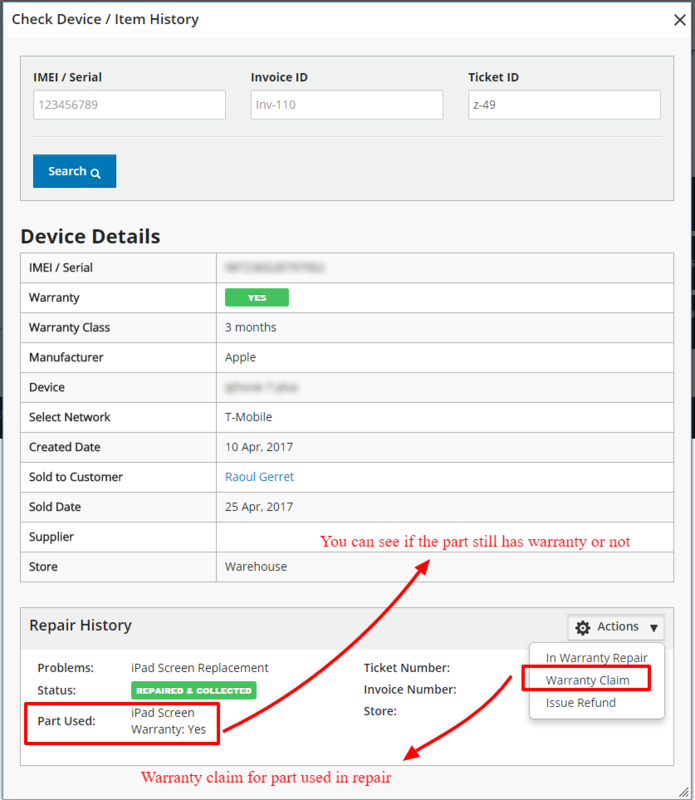 Now you can add warranty on all repair parts by default so that when a customer comes back with a bad part during warranty period, you can quickly perform warranty repair and ticket history is updated accordingly. The first step is to setup warranty duration against each replacement part in inventory. You can either do this manually or via .csv import. 3. Open Mobile, Accessories & Parts. 4. Open a repair item. 5. Under Product Info tab, set warranty in relevant fields (See attached image). Tired of manually setting warranty against repair items? Just set warranty in inventory CSV file, import the file and let RepairDesk will do the magic! 5. 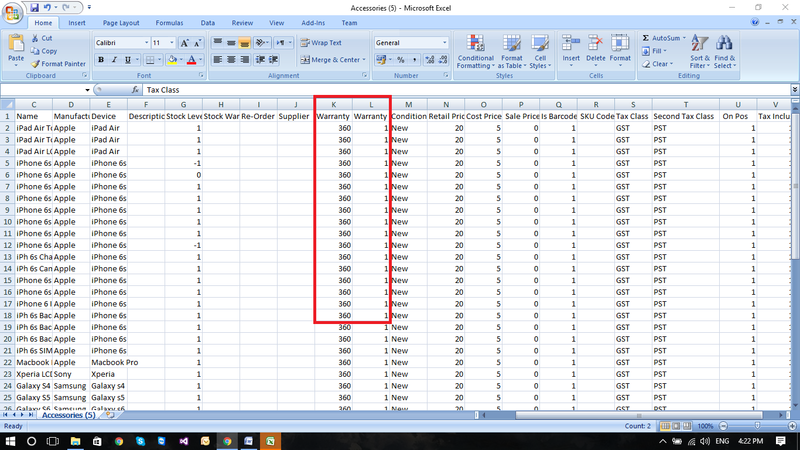 Under Warranty columns, set warranty in CSV file for repair items. When you assign replacement part against a repair ticket, warranty duration starts. For each ticket, you can view warranty remaining duration for the parts used to carry out this repair. During warranty period, if a customer faces a problem and visits you for a warranty claim you can check remaining warranty period, issue refund, create an RMA or perform a warranty repair. A warranty starts for a repair job after the date on which it was Repaired & Collected has been set (please see attached screenshot). Also, you would need to update the repair ticket's status to Repaired & Collected. 1. On the POS screen, click on Warranty Claim. 2. 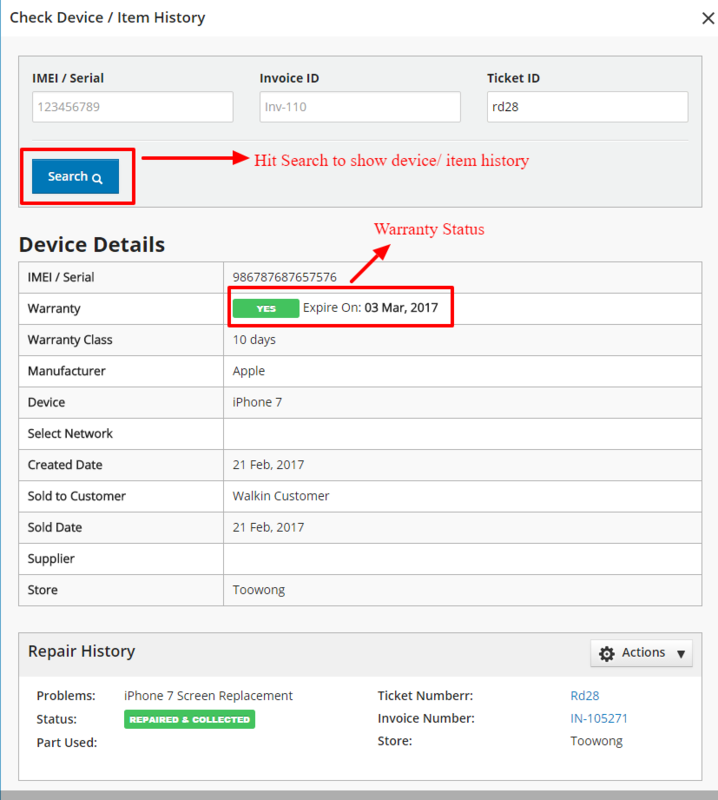 In the pop up screen, search a device by IMEI/ Serial or bring search for a specific invoice or ticket for warranty claim. 3. Hit Search to view Device Details. You can also see the warranty status and remaining duration in warranty. At the bottom, you can see Repair History, showing you the details about previous repairs. 4. Click on Action button to view option of Warranty Claim. Warranty Claim allows you to claim warranty for a part used in repair or a device/ item sold. You can create an RMA against faulty part, if its warranty hasn't expired yet. If a part has no warranty associated with it then this option will be unavailable. Note: Created date refer to the date when the repair service was added. Sold date refers to the date when a repair ticket was created, or a part/ accessory/ mobile was sold to customer. 5. When you click on Warranty Claim for a part, you will be taken to the relevant ticket. Click on Warranty Claim to include this part in RMA. 6. State the reason for replacement and hit Save to add part to RMA, the user can also select a supplier for the part(if the supplier is attached with the part then that will automatically display here) and status for the RMA to be saved. To know more about RMA, please click here. Note: Please note if its a repair item it will only display repair info if the repair ticket has been marked as repaired & collected & invoice is marked as paid. If its an inventory item it will display information if the invoice is marked as paid. 7. Once the item is added into RMA its added back to inventory and stock increase for that item. 8. Once the user changes the status of RMA from Waiting to Shipped then the item is deducted from on-hand stock. Q. How can I create a RMA against a bad part? A.While processing warranty claim for bad parts you can create RMA & print label with a single click. For more information, please click here. Q. Can I issue refund? A. Yes. You can utilize the Issue Refund option from Claim Warranty. 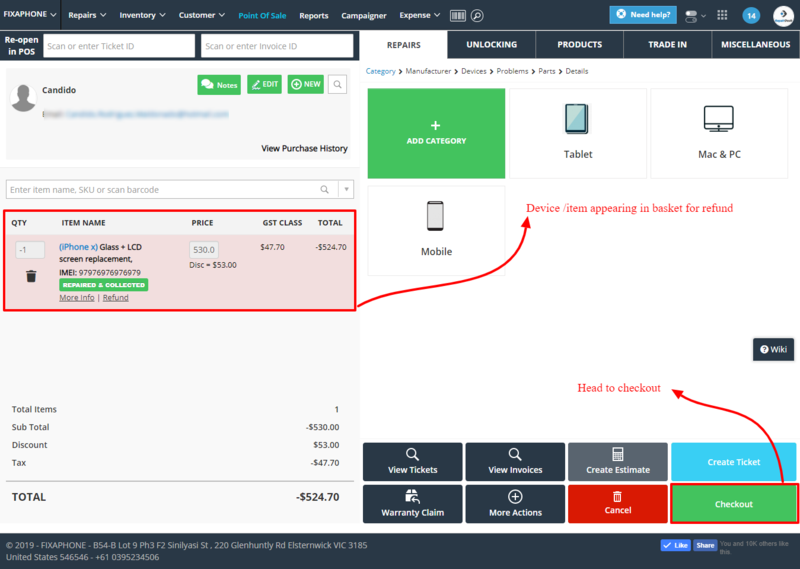 Once selected, the item/ device is added to the basket on POS. Head to checkout to issue a refund for customer. To know more about Refund, please click here. Q. How to claim warranty for a repair service? A. Check out this article to know about how to set and claim warranty for repair services.